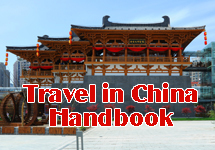 Visitors may go to Daming Palace in Xi'an by air, by train or by coach.There are public buses or tourism buses to every attraction in and around the city with pick up points throughout the city. Qujiang Hotel, a comprehensive luxury hotel with accordance to traditional garden architectural styles, is designed by Zhang Jinqiu, an architectural master in China. The most important commercial centre in Xi'an city revolves around the Bell Tower commercial circle, which includes the West Street, the East Street, the South Street and Jiefang Road. In a strange place far away from your homeland, it's quite necessary for you to learn about local hospitals. Here're a list of hospitals in Xi'an. If you are met with unexpected emergency, you may call the following numbers to get out of troubles.